A reissue of a classic work published in 1934 on writing and the creative process, Becoming a Writer recaptures the excitement of Dorothea Brande's creative writing classroom of the 1920s. 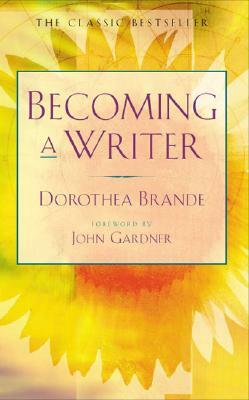 Decades before brain research "discovered" the role of the right and left brain in all human endeavor, Dorothea Brande was teaching students how to see again, how to hold their minds still, and how to call forth the inner writer. Born in Chicago, Dorothea Brande (1893–1948) was a widely respected journalist, fiction writer, and writing instructor. Brande is widely known for her enduring guide to the creative process, Becoming a Writer, originally published in 1934 and still popular today. In 1936, Brande published a masterwork of practical psychology, Wake Up and Live! The book entered more than 34 printings and sold more than 1 million copies. For many years, Wake Up and Live!, with its simple and sound advice for personal excellence, rivaled the popularity of contemporaneous works such as Think and Grow Rich and How to Win Friends and Influence People.